The term “scientific research” means “any activity for the extension of knowledge in the fields of natural or applied sciences including agriculture, animal husbandry or fisheries”. The term ‘scientific research’ has a wide scope. It does not necessarily mean only invention or successful scientific research. With a view to accelerating scientific research, section 35 provides tax incentives. 3. Expenditure on an Approved in-House Research under Section 35(2AB) 3. Contribution to an Indian Scientific Research Company. Where the assessee himself carries on scientific research and incurs revenue expenditure, deduction is allowed for such expenditure only if such research relates to his business. Revenue expenses incurred before the commencement of business (but within three years immediately before commencement of business) on scientific research related to the business are deductible in the previous year in which the business is commenced. However, the deduction is limited to the extent it is certified by the prescribed authority prescribed for this purpose under rule 6 [prescribed authority is Director-General (Income-tax Exemptions) in concurrence with the Secretary, Department of Scientific and Industrial Research, Government of India]. The above-mentioned research association, university, college or other institution shall make an online application in the prescribed form [i.e., Form No. 3CF-I or 3CF-II] to the CIT or Director of Income-tax having jurisdiction over the applicant, for approval. A copy of application in Form No. 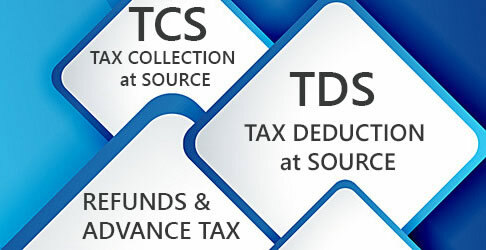 3CF-I or 3CF-II shall be sent to the Member (IT), Central Board of Direct Taxes. The prescribed authority may, before granting approval, call for such documents (including audited annual accounts) or information from the scientific research association, etc., in order to satisfy itself about the genuineness of the activities of the research association, etc. 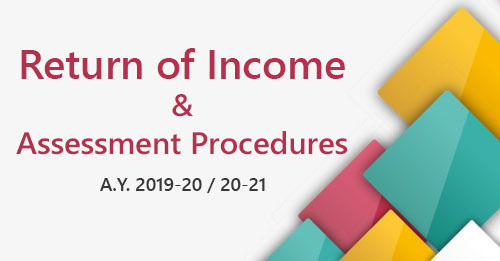 In the cases mentioned above, order granting the approval or rejecting the application shall be passed within 12 months from the end of the month in which such application is received by the Member (IT), CBDT. Notification issued by the prescribed authority shall at one time have effect for not more than three assessment years, including an assessment year or assessment years commencing before the date on which such notification is issued (as maybe specified in the notification). The three-year time-limit is not applicable on or after July 13, 2006. If the Assessing Officer is satisfied that the activities of the aforesaid university/college/institution [referred to in section 35(1)(ii)/(iii)] are not being carried out in accordance with all or any of the conditions subject to which approval was given to such institution by the Central Government, he may recommend the Central Government to withdraw the approval given under section 35 [second proviso to section 143(3)]. Deduction in respect of contribution made by an assessee to the aforesaid institutions shall not be denied (from the assessment year 2006-07) merely on the ground that after the contribution made by the assessee to these institutions, the approval granted to these institutions have been withdrawn. In other words, contribution to these institutions wifi be qualified for deduction even if after the date of making contribution, the approval granted to these institutions have been withdrawn. 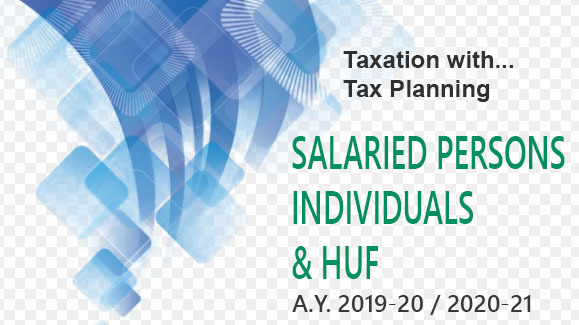 The taxpayer is any person (maybe an individual, HUF, firm, company or any other person). The taxpayer has paid any sum to an Indian company (hereinafter referred as “payee-company”) to be used by the payee for scientific research. The scientific research may or may not be related to the business of the taxpayer. The payee-company has as its main object the scientific research and development. The payee-company is for the time being approved by the prescribed authority (i.e., the Chief Commissioner of Income-tax having jurisdiction over the applicant). An application shall be submitted online for this purpose in Form No. 3CF-III. The payee-company fulfils such other conditions as may be prescribed. These conditions are given in rule 5F. - from the assessment year 2018-19 onwards : 100% of the amount paid. With a view to avoid multiple claims for deduction, it has been provided that the payee-company approved under the provisions of section 35(2)(iia) is not entitled to claim deduction under section 35(2AB). However, deduction to the extent of 100% of the sum spent as revenue expenditure or capital expenditure on scientific research which is available under section 35(1) will continue to be allowed. Where the assessee incurs any expenditure of a capital nature on scientific research related to his business, the whole of such expenditure incurred in any previous year is allowable as deduction for that previous year. The assessee should incur expenditure of a capital nature on scientific research and there is no requirement that such an expenditure should be capitalized in its books of account . Where any capital expenditure has been incurred before the commencement of the business, the aggregate of such expenditure, incurred within three years immediately preceding the commencement of the business, is deemed to have been incurred in the previous year in which the business is commenced [Explanation to section 35(2)(ia)]. The aforesaid deduction is not available in respect of capital expenditure incurred on the acquisition of any land after February 29, 1984. If the asset is sold without having been used for other purposes, surplus or deduction allowed, whichever is less, is chargeable to tax as business income of the previous year in which the sale took place [sec. 41(3)]. The excess of surplus over deduction allowed is, however, chargeable to tax as capital gains. Deduction by way of depreciation is not admissible in respect of an asset used in scientific research, either in the year in which the capital expenditure is incurred or in a subsequent year. Specified person as approved by the prescribed authority. The above payment is made under a specific direction that it should be used by the aforesaid person for undertaking scientific research programme approved by the prescribed authority. Such contribution which is eligible for deduction under the aforesaid provisions is not eligible for any other deduction under the Act. “National Laboratory” for this purpose means a scientific laboratory functioning at national level under the aegis of the Indian Council of Agricultural Research, the Indian Council of Medical Research or the Council of Scientific and Industrial Research, the Defense Research and Development Organisation, the Department of Electronics, the Department of Bio-Technology or the Department of Atomic Energy. The prescribed authority is the head of a National Laboratory or a University or an Indian Institute of Technology, as the case may be. In the case of “specified person” the prescribed authority is the Principal, Scientific Adviser to the Government of India. Such authority shall before granting approval satisfy itself about the feasibility of carrying out the scientific research. The aforesaid authority shall submit its report to the Principal Director General or Director General or (with effect from April 1, 2016) Principal Chief Commissioner or Chief Commissioner in such form as may be prescribed. The taxpayer is a company. The company should be in the business of bio-technology or in the business of manufacture or production of any article or thing except those specified in the Eleventh Schedule. It incurs any expenditure on scientific research and such expenditure is of capital nature or revenue nature (not being expenditure in the nature of cost of any land and building). The expenditure on scientific research in relation to drugs and pharmaceuticals shall include expenditure incurred on clinical drug trial, regulatory approval and filing an application for a patent. The research and development facility is approved by the prescribed authority. The taxpayer has entered into an agreement with the prescribed authority for co-operation in such research and development facility and for audit of the accounts maintained for that facility or fulfils such conditions with regard to maintenance of accounts and audit thereof and furnishing of reports in such manner as may be prescribed. A company approved under the provisions of section 35(1)(iia) is not eligible to claim weighted deduction under section 35(2AB). However, deduction under section 35(1)(i)/(2) can be claimed to the extent of 100% of the sum spent as revenue expenditure or capital expenditure on scientific research. quantifying the expenditure incurred on in-house research and development facility by the company during the previous year and eligible for weighted deduction under section 35(2AB) in Part B of Form No. 3CL. The above report shall be furnished electronically by the prescribed authority to the Principal CIT/Chief CIT/ Principal Director General/Director General having jurisdiction over such company within 120 days of grant of approval or submission of audit report.